Will you buy online this Christmas? In the run up to Christmas more people than ever will shop for presents online. Be they gifts purchased through eBay, Amazon, Argos, John Lewis, or a host of nearly 3000 other online retailers, your purchases can help make a difference to African Initiatives – all at no extra cost to you. Easyfundraising is a website through which retailers will donate a percentage of the purchase price for items bought online to a charity of the buyer’s choice. Each retailer will donate a different percentage, for example, Argos donate 1.2%, Amazon 1.5%, John Lewis 2%, and Tesco’s up to 5%. It costs you absolutely nothing! So far, over £5 million has been raised for good causes throughout the UK through the website easyfundraising.org.uk. This Christmas we want to encourage you to use the site to help raise funds for our work in Ghana and Tanzania. In this step-by-step guide we’ll show you how. Say you want to buy a book for a loved one through Amazon, instead of going to amazon.co.uk first you instead go to easyfundraising.org.uk. 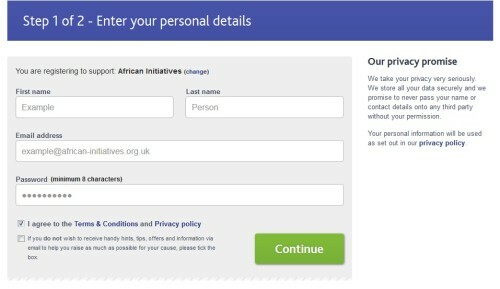 Once registered, you can now download the easyfundraising.org.uk toolbar, which will remind you every time a donation is available on a website. 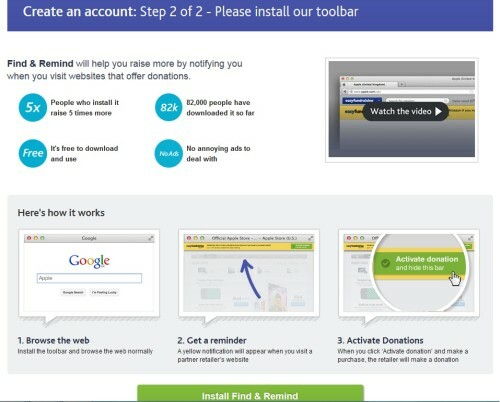 On average, people who install the toolbar raise up to five times more donations. 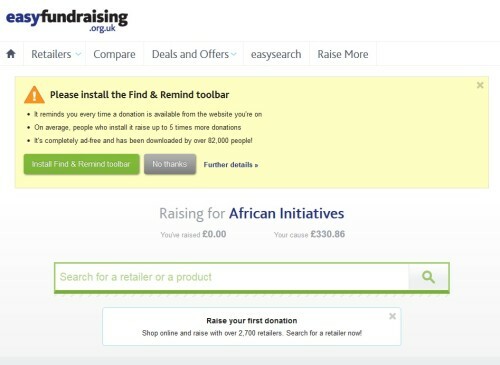 Alternatively, use the easyfundraising.org.uk search bar to find items you are interested in purchasing, or to find the retailer of your choice. 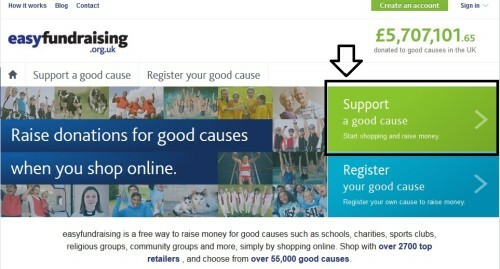 Click to ‘Go shopping and raise funds’ and start to raise money for us today! Watch the easyfundraising video and please tell your friends and family to remember easyfundraising and African Initiatives when you make online purchases this Christmas!